According to ABnote, the mobile wallet app enables users to select from a number of credit cards stored on their mobile phone to make contactless payments at the point of sale. 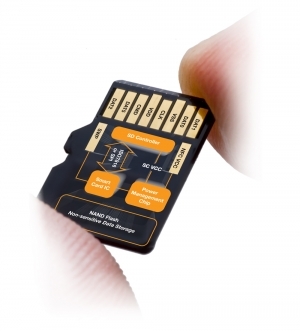 The GO-Trust microSD card acts as the secure element for these transactions, while supporting other secure banking transactions such as funds transfer, on-line credit card payment, bill pay and ticket/voucher storage, as well as NFC tag reading, peer-to-peer data exchange and payments acceptance. The solution is designed to work with NFC-enabled handsets from HTC, which will be deployed in tandem with the microSD card for several NFC projects. The first of these projects, to be launched later this month, will enable an unspecified local bank to load and personalize secure payment solutions over the air, according to GO-Trust.